Using our county page visit the Illinois county your ancestors lived in and first try and find any information the county may freely provide on their pages (most have some sort of search built in). If the particular fact isn’t available online, then reach out to the county coordinator (cc) and they will try and assist you as best they can. Most county coordinators have their email address available on their website, though some will use contact forms. The search below searches all of ILGenWeb using Google Custom Search. The Constitution and register of membership of the General Society of the War of 1812, June 1, 1908. Extracted from Descendant Members of the Illinois Society, pages 161-166. Contributed to ILGenWeb by Norma Haas. During the Civil War the number of men lost by disease was appalling, but it would have been even larger had it not been for the women whose work is described in Lincoln’s Daughters of Mercy by Marjorie Barstow Greenbie. These were the women who, first organizing spontaneously in Ladies’ Aid Societies, later bore the brunt of the work of the United States Sanitary Commission after that organization was founded in the summer of 1861. If you would like to be a County Coordinator for ILGenWeb or help out with this great project in any way, please visit our Adoptions page for more information. 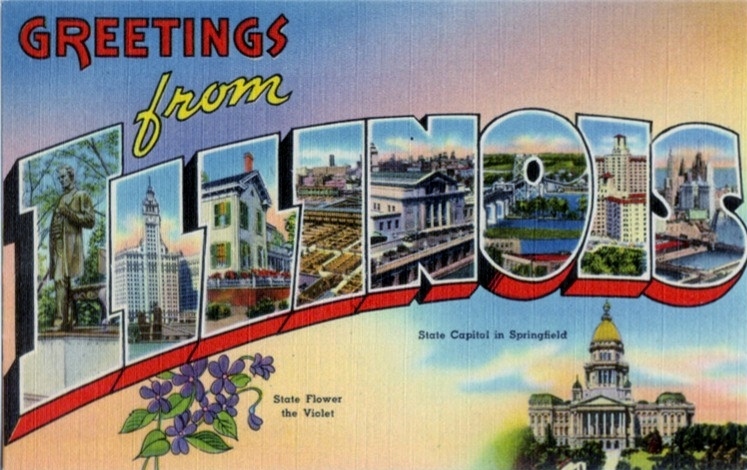 Illinois USGenWeb was originally started in June 1996 by Melissa Calhoun. On December 18, 1996, Susan Reed-Tortorelli took over the reigns as the State Coordinator and by the time she retired on April 17, 2000, ILGenWeb had 953,025 visitors to the state pages along with thousands more who go directly to the county pages from bookmarks. At that time, Richard Howland, an ILGenWeb County Coordinator since October 1997 and Susan’s right hand, became the new State Coordinator. Richard retired from his State Coordinator position on July 31, 2004, and Scott Burow, also a long time county coordinator for ILGenWeb, took over as the State Coordinator on August 1, 2004. Scott retired as SC on October 31, 2007. Deb Haines was elected State Coordinator on November 1, 2007 and held onto the reigns until Cheryl Rothwell took over in August of 2012 until July 2016 when she retired. The new State Coordinator is Dennis Partridge. The ILGenWeb Project is very proud of our current and former State Coordinators for their dedication to our project. We are hopeful you will enjoy your visit to the ILGenWeb Project and that you will find the information you are seeking! !